I used Peacock Pie’s tutorial to create this mani and I love it! This is my first time painting roses I can’t stop staring at how pretty it is. I used China Glaze Ruby Pumps for the red petals, OPI Pink Friday for the pink petals and Jordana Rich Green for the leaves. Working with polish meant that it got too thick very fast so I had to keep putting down a new drop of polish from the polish brush onto a zip lock bag whilst doing the detail work. I used the bottle brush for the base of the larger roses as well as the below three nail tools for detail work. 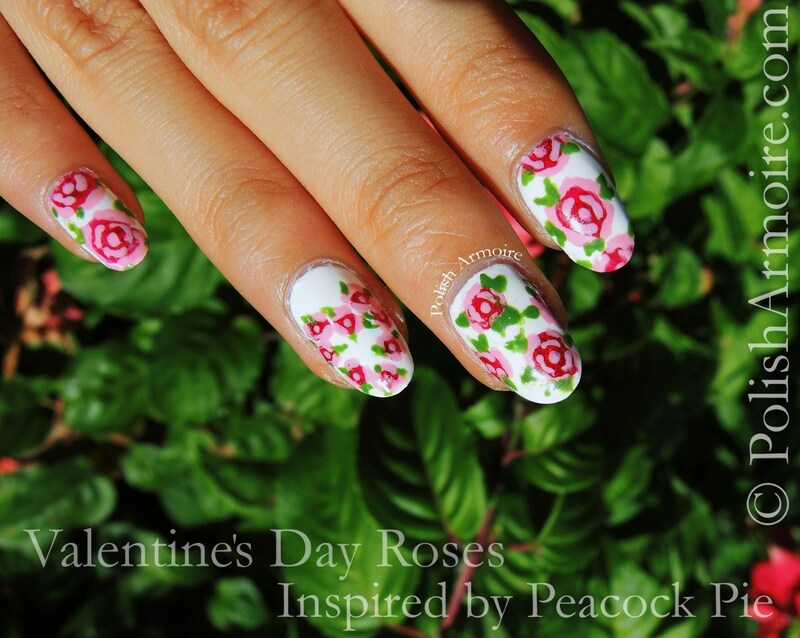 I used the left small brush for the base of the small roses on my ring finger. 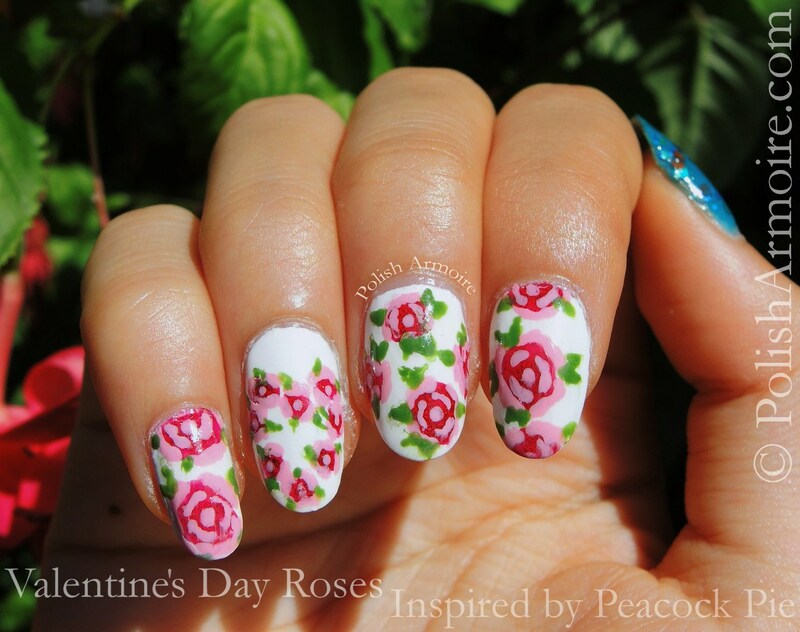 The center dots and leaves on the small roses on my ring finger were made using the thin striping brush on the right. All other petals and leaves were made using the dotting tool in the center. These three tools were sent to me for review as part of a larger set as you can see below. 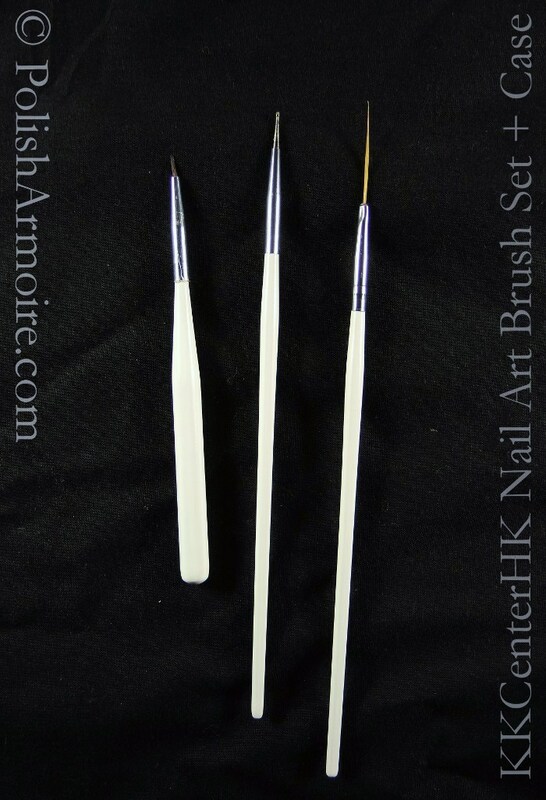 I thought this mani was a great way to test out some of the nail art brushes I had received from KKCenterHK for review purposes (you can find the set here: N.NAIL 15 Piece Synthetic Fiber Art Design Brush Set With Case – item #JR1129). I was pleasantly surprised by the quality of the brushes and the case that they came in. The flexible plastic case has a nice sturdy feel to it and smells fine unlike some other cheap plastic brush cases that I have encountered before. It also folds up and is secured by magnetic clasps. 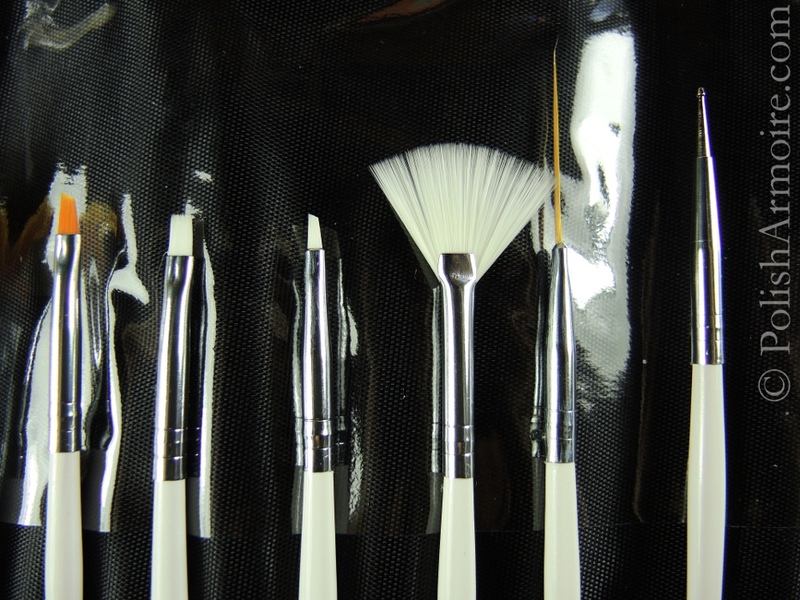 The brushes are protected by a clear plastic flap and each brush has its own little pocket inside the case. 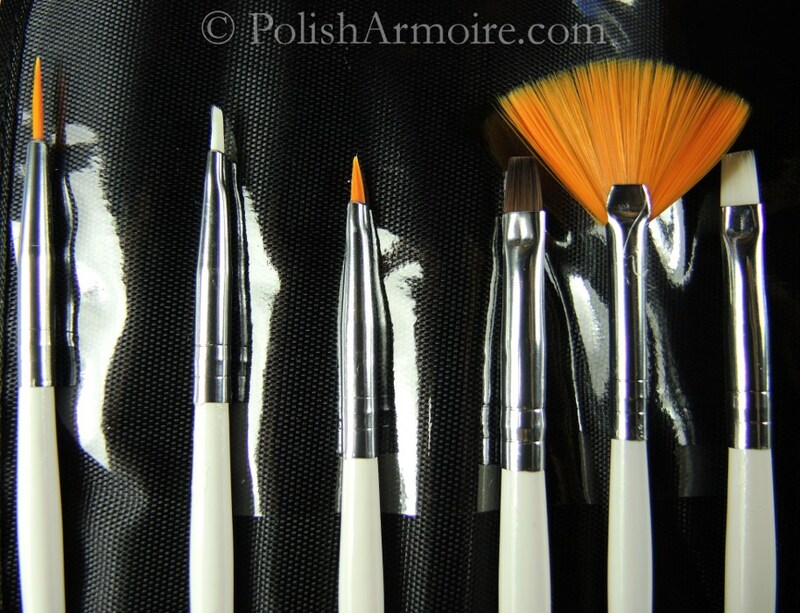 The tip of each brush (except for the fan brushes) is protected by a stiff removable tube of plastic when you first get them and I’ve decided to keep them on as they are a good way to protect the tip of the brushes. 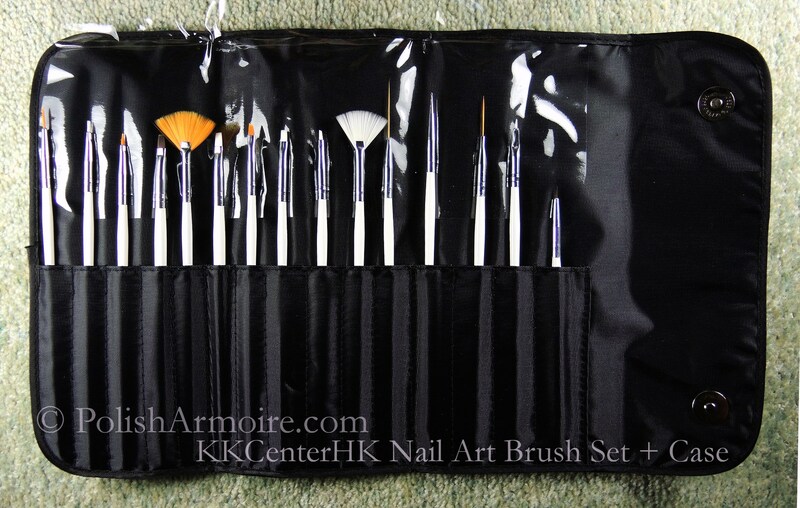 The set comes with 15 brushes and definitely has enough brushes to accomodate all my nail art needs. 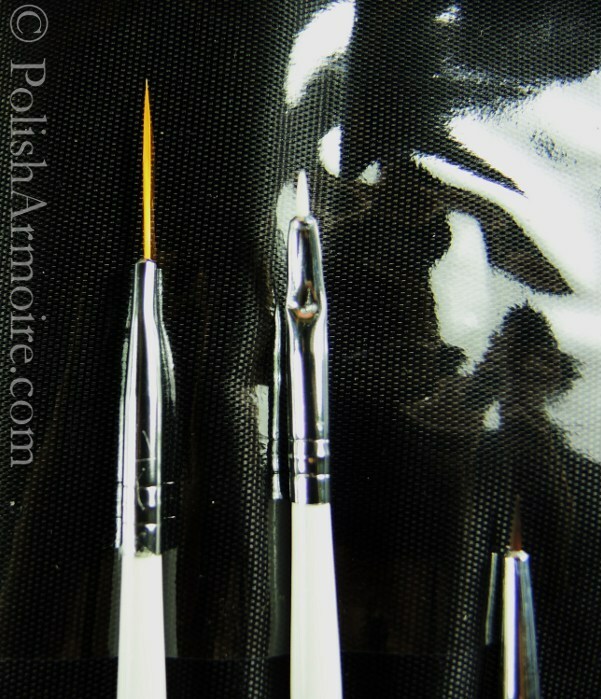 There are various sized brushes including a dotting tool as you can see in the close up shots below. All in all, this set of brushes should last you a long time and you won’t be in need of an extra brush! Tags: dotting tool, nail art brushes, nail tools, review, roses, valentine's day. Bookmark the permalink.